As you may know, PSWCT implemented two updates to its online incident and claim reporting processes in June 2018. These changes streamlined our online incident and claim reporting forms and made the Accident/Incident Report process completely paperless. One of the biggest pieces of feedback we received on the online incident submission process we rolled out in September 2017 is that the dual incident/claim submission form requested too much personal information from those employees who only need to file an incident report. We have reorganized the incident submission form to only show incident-related fields initially. The claim-related fields, which require a higher level of personal information, appear only if the employee selects “Yes” in response to the Medical Care Sought question. We have also added additional language to clarify when to select “Yes” in response to the Medical Care Sought question, and to provide information on how to file a claim later if an employee selects “No” initially. We anticipated that restructuring the form in this way may create confusion for employees who initially do not want to file a claim but later realize that they need to. To rectify that, we created a “grant access” process that allows a PSWCT claim specialist to send the employee a link to their online incident form to change their answer to the Medical Care Sought question to “Yes.” This will bring up the rest of the claim-related fields and they will be able to file their workers’ compensation claim by amending the information originally submitted. Origami now automatically sends claimants a copy of their SIF-2 after they file their claim, so they have immediate access to their claim number when seeking medical treatment. The other update is to our Accident/Incident Report process. 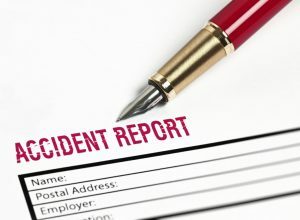 In the past, the Accident/Incident Report was generated as a Word document after an employee submitted incident information online. This process required a lot of manual work on the part of the district to route the hard copy of the form to all parties. In our revised process, after an employee files an incident report, a link to an online form is sent to the district liaison to be forwarded to the employee’s supervisor. The supervisor will have 14 days to complete their portion of the Accident/Incident Report online using that link. After the supervisor hits “Submit,” a complete Accident/Incident Report will be emailed to the district liaison and the employee’s supervisor. The form will be saved to the Incident file in Origami, and the data will be captured in reportable fields, which will enable us to provide you with more robust reporting for your safety committees. Based on additional feedback, we have also added questions regarding bloodborne pathogens and will be working with interested districts to integrate that process into our current systems.